NURSE & TEACHER in ONE: Providing Long Term Exceptional Care for your children. Iam seeking for a long term employment in Canada. If you are looking for a honest, loyal, trustworthy, patient, energetic, and compassionate employee I think we are a good match! * Iam a registered nurse with 1 year experience in hospital especially in Pediatric unit and Emergency room. Safety is our priority to our children! * I have 2 niece and 1 nephew who I took care of for years. My expertise: I am incredibly comfortable with live in care provision, laundry, household chores, cooking and doing errands. When I can start: As soon as you want. 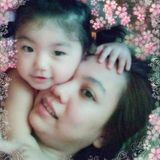 A flexible Filipina nanny, who loves children! Mexican hardworking nanny living in Vancouver! Caring, gentle and trustworthy sitter!